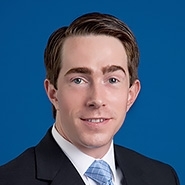 J. Andrew Cashman will join Receivables Management Association's other lobbyists in a panel discussion called "Keeping the Waters Calm: A View from our State Lobbyists." The group will provide first-hand analysis and insights into lobbying across New England. To learn more about the conference, click here.